After many years, The God-Man by C.B. Purdom is back in print! 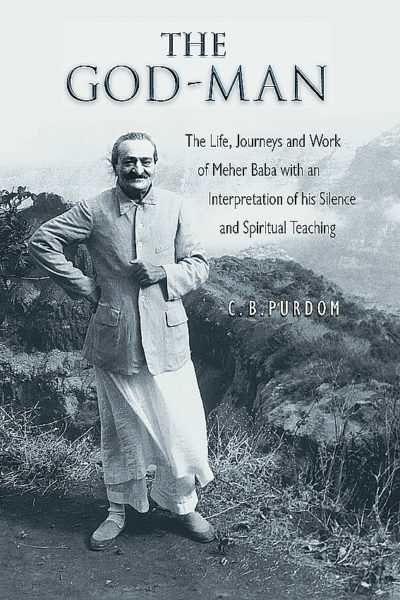 Written during Meher Baba's lifetime, it includes not only Purdom's personal recollections and messages he took down as they were being conveyed by Meher Baba, but also diaries and memories of other living witnesses. The God-Man is a unique, one-volume biography of Baba, written in Baba's time. It is not only a wonderful and beautifully written book for those who know of Meher Baba, but is also an excellent introductory book for people new to Him. Part One of the book gives a clear account of all the periods of Baba's life and includes many messages and discourses from Baba. Part Two contains more subjective essays by Purdom about Baba. An epilogue by Delia DeLeon about Baba dropping His physical form in 1969 is also part of the book.